Do you regularly use your towbar, value the design of your car and want the best ease of use? The retractable towbar offers this combination. If the towbar is put away, there is nothing to indicate the presence of it under your car and you only need one simple hand movement before it is ready to use again. Your boot lid is easy to reach and your boot easy to load with a retractable towbar, as there’s no towbar in the way during loading and unloading. Another advantage is that the retractable towbar is maintenance-free. The ball is always connected to the sleeve, ensuring not dirt is left behind. 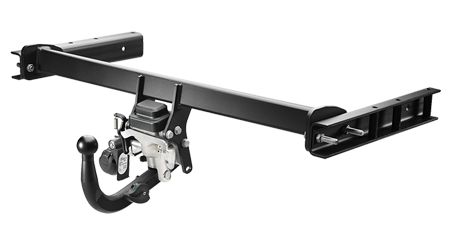 Due to this, the retractable towbar combines all features of both the fixed and detachable towbars. 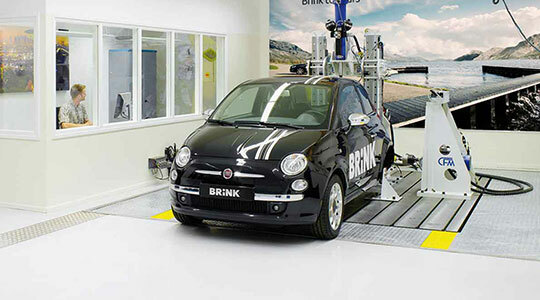 Brink has an extensive selection of retractable towbars. However, the system is not available for all cars. Not every vehicle has enough room behind the bumper to fold in the retractable towbar. 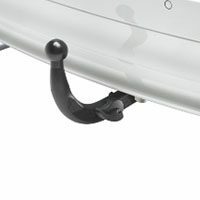 However, with the retractable towbar, you will no longer have to store a ball in your boot while still having a towbar that leaves the design of your car intact. Therefore, the retractable towbar appeals to all your wishes. It is really easy to operate the retractable towbar. The ball appears from behind the bumper by pulling a lever under the car. The ball of the towbar can be locked in place in with minimal force by gripping the top with your hand and gently pushing it in. During this rotation, the towbar moves slightly upwards until it locks with a click. You only need two actions to unlock the ball again. First, use your hand to turn the dial on the ball in the direction of the ball, then use your thumb to twist it down in one smooth motion to unlock the ball. Next, grip the ball of the towbar with your hand and turn it back in the direction of the bumper. The ball clicks in place behind the bumper in one smooth motion. 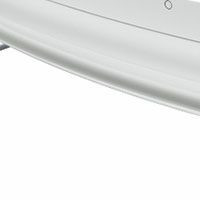 The dial on the ball of the manually retractable towbar has an ergonomic design. The dial is comfortable to use as your fingers, hand, wrist and arm are in a natural position when taking hold of the dial. Because of this, you can ensure an optimal power transmission with a minimal exertion of force when unlocking the towbar. You can quickly and easily unlock the manually retractable towbar. This dial has arrows that show the action needed for unlocking the system. The retractable towbar offers the same security and towing ability as a fixed towbar. The ball is always connected to the sleeve now too, ensuring it cannot slip loose while driving. 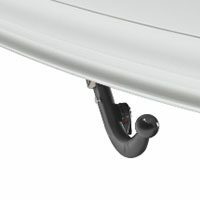 The lock of the manually retractable towbar is very audible. As you lock the ball you can hear a clear click, thanks to ErgoclickTM. This confirms that the towbar has been properly locked in place. It is easy to see whether the manually retractable towbar is locked. The dial has a built-in colour indication consisting of colour codes. Green means a successful lock. Red indicates a new attempt is required.